The Race for Water vessel is currently in Tonga, one of the stops during its 5-year journey to participate in some major international events with the aim to raise awareness and to educate as many people as possible about the urgent need to conserve the oceans from plastic waste which harms marine life. HRH Princess Pilolevu Tuita this morning visited aboard the Race for Water Vessel along with Hon. Fatafehi ‘o Lapaha Filipe, and many invited guests, to inspect and tour the world-class vessel. This morning the captain and the crew held a press conference with the Director of Energy from the Ministry of MEIDECC – Dr. Tevita Tukunga, and Tahirih Hokafonu from the Environment Department, where they highlighted the significance of the visit of this vessel, which is powered by solar and wind power. This is all in the benefit of conserving the oceans, as there is an increase in the pollution of the oceans with plastic waste and this Race for Water initiative is one of the ways to tackle this. The captain of the vessel – Jean-Marc Normant elaborated on the important work they do. 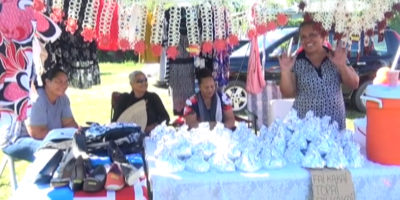 Meanwhile, Director of Energy from the Ministry of MEIDECC – Dr. Tevita Tukunga talks on the significance of this program for Tonga. 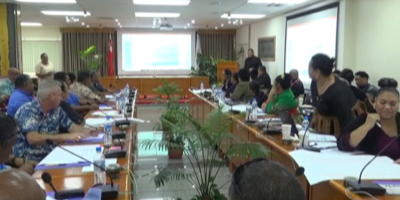 The head of biodiversity from the Environment Department – Tahirih Hokafonu talked on the challenges Tonga faces in regards to ocean management in relation to pollution. 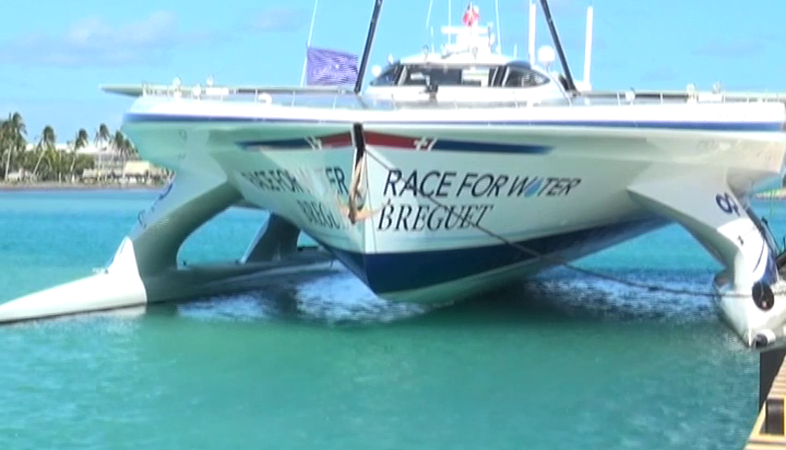 The Race for Water began their journey last April, departing France on a world expedition which would conclude back in France in July 2021.